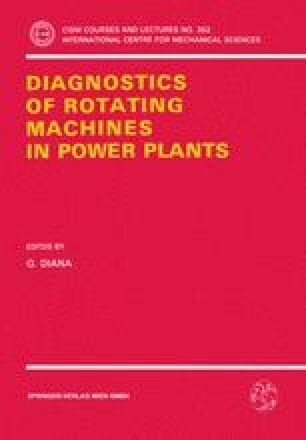 The paper presents a procedure for identification of unbalance changes of rotor-oil bearing system during its operation. The procedure bases on the monitored trajectories of journals with respect to their bearing cases and the non-linear mathematical model of the rotor system. To assess applicability of this procedure, the influence of measuring errors and accuracy of modeling of the rotor is investigated. Results lead to conclusion that this procedure could be applied to on line identification of plane at which change in unbalance distribution has taken place.